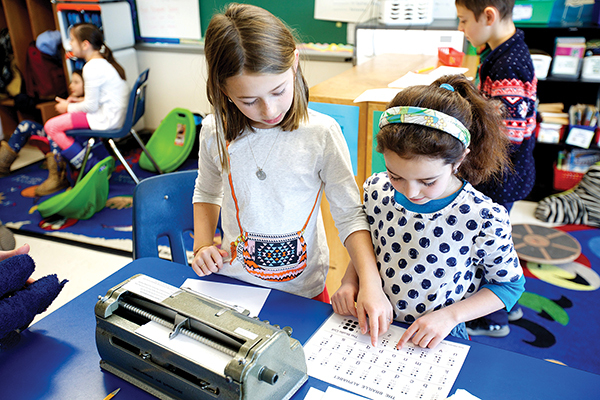 Third graders at Maimonides use a braille machine. JULY 5, 2018, NEWTON – Third grade students at Solomon Schechter Day School in Newton have known the traditional way to write the Hebrew letter aleph for a long time now, but they recently learned two new methods. The first way is to take the right hand, clench in all fingers except for the thumb, and extend the thumb sideways, almost as if you’re hitchhiking.  The second is to take a sheet of embossed paper, print out two vertical columns of three dots, and elevate the dot on the upper left corner so that it can be touched. The Ambassadors program was started five years ago, and at the time, it only reached one grade in one school. Generous grants from the Ruderman Family Foundation helped support the initial creation of the program, and its expansion to reach kindergarten through 12th grade in many Jewish schools and congregations. In addition to the Boston area, there are now programs in Connecticut, New York, and Washington, D.C. Next year, it will be in schools in Chicago. 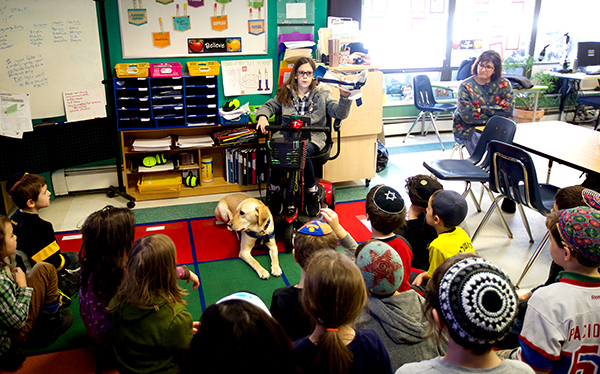 Students at Striar Hebrew Academy of Sharon learn from a guest speaker. Alpert partners with educators and other disability rights organizations to create one and two-hour long classes that run once, twice, or three times per school year, depending on the grade. In kindergarten through second grade, students read a Russian story about a deaf candle maker, and develop ideas to help a hearing-impaired person answer the door when someone knocks or rings the doorbell. In third through fifth grade, students learn about blindness, learning disabilities, and intellectual disabilities, and interact with guest speakers with disabilities they’ve studied. The curriculum for sixth through eighth grade has varied by year, but most recently, it featured a guest speaker with bipolar disorder. For its high school curriculum, Ambassadors partnered with Irving Improv, an educational improv organization, to lead improv workshops highlighting mental health issues. Students and educators alike have appreciated the Ambassadors program. Abby Goldstein, who is going into seventh grade at the Solomon Schechter Day School in Newton, feels the program has helped her empathize with members of her family who are on the autism spectrum. “It helped me picture myself in their shoes and appreciate what comes easily to me that others can’t do,” she said. David Saltzman, the principal of Maimonides Elementary School in Brookline believes that the program will help his students learn to treat everyone with compassion. “We hope that over time, with multiple lessons about various disabilities and meeting people with those challenges and experiencing some of the difficulties they face, our students will develop sensitivities and feel comfortable inferfacing with all human beings,” he said.